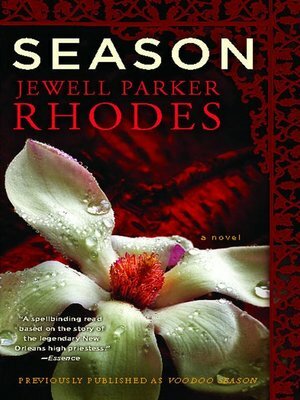 Jewell Parker Rhodes, who has earned legions of fans with her masterful fiction, launched her career as an award-winning novelist with Voodoo Dreams, based on the legend of New Orleans's most famous voodoo priestess, Marie Laveau. Voodoo Season, Rhodes's fourth novel, revisits the mystical landscape of Louisiana, but now, for the first time, the celebrated author of historical fiction presents a mystery set in the here and now. This is the story of Marie Levant, a great-great granddaughter of Marie Laveau and a medical doctor compelled by unseen forces to relocate from Chicago to her family's native home. This is New Orleans, where the slave-holding past merges with the twenty-first century, a place where women of color are still being abused, raped, and -- even more horrifying -- rendered "un-dead," zombie-like Sleeping Beauties. The Quadroon Balls of yesterday are a present reality and only Marie Levant can untangle the medical mystery. A smart modern-day heroine, unafraid of her sexuality, Marie Levant extends the Laveau legacy of spiritual empowerment, prophetic vision, and voodoo possession. Voodoo Season is a fresh and original work of fiction that is a magical womanist tale of mystery and power.